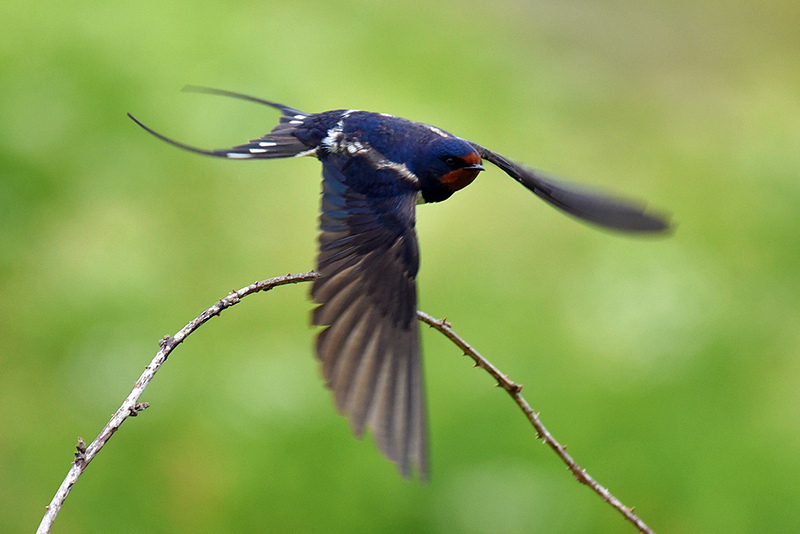 One of the many Swallows which come to Islay for the summer. This one had just taken off from the branch you can see below it, just outside the hide at RSPB Loch Gruinart. This entry was posted in Cloudy Weather, Landscape, New Post, Wildlife and tagged Gruinart, Islay, Swallow by Armin Grewe. Bookmark the permalink. Thanks guys, took quite a few attempts (and a bit of luck) to get this one. It seemed to like that branch, sat there a lot. Getting it sitting still was easy, but catching it flying off….